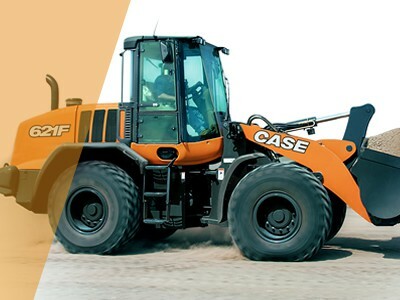 CASE Front End Loaders deliver best-in-class horsepower and massive torque to deliver power to every work cycle. 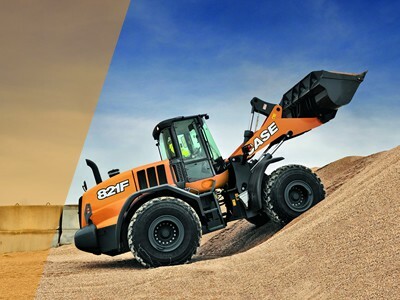 Four power modes let operators match available engine power to the job while saving fuel. 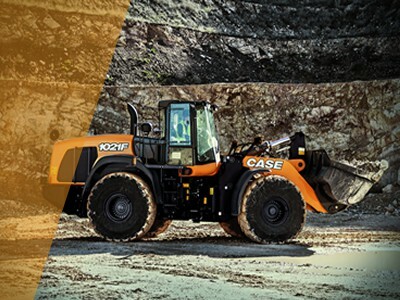 Stronger and faster hydraulics deliver superior productivity and performance. The heavy-duty axles are tougher, bigger and easier to service thanks to the 3-piece housing design. Wet multiple disc brakes, made of resistant sintered bronze, are located in each wheel hub. Our heavy-duty axles are engineered to support L5 or solid tyres for very abrasive environments. Solid tyres can be fitted on request. You’ll feel more confident and work faster with the great all-round visibility provided by the very low shape of the curved rear hood and the ample glazed surfaces. Our reinforced cab guarantees protection against roll over (ROPS) and falling objects (FOPS). The air suspended seat features a high back design and lumbar adjustment, a saving grace during long working days.